Chop half of the mint; set the rest aside. Zest lime. Crumble goat cheese. Thinly slice beets with a mandolin. Toast the pine nuts over medium heat until golden brown. Set aside. In a small bowl, whisk together grapefruit juice, orange juice, lime juice, lime zest, olive oil, honey, and chopped mint. 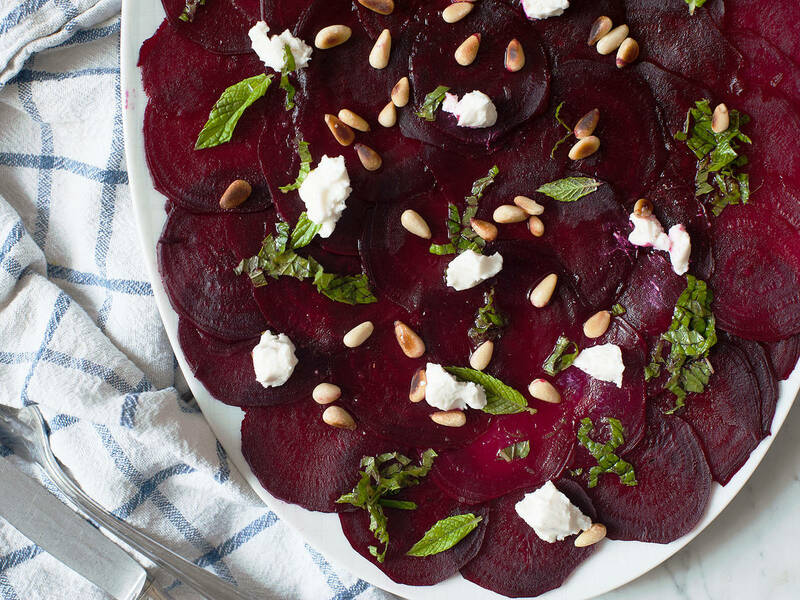 Arrange beets in an even layer on a plate. Pour vinaigrette over beets, add salt and pepper to taste, and garnish with pine nuts, goat cheese, and remaining mint leaves. Enjoy!